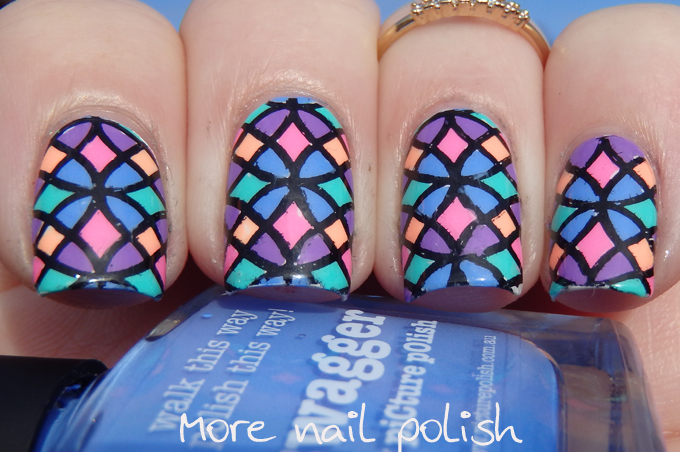 I'm pretty excited by this mani cause it turned out way better than I expected it would. Today's prompt it geometric and I have that combined with the Digital Dozen '4' theme. 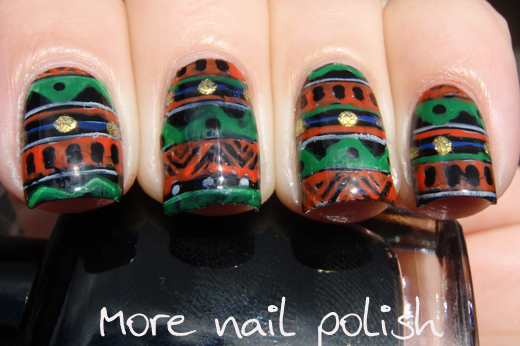 I used four stamping designs all from the same plate - EdM11. I made 10 stamping decals on a silicone mat, and the design I repeated for my thumb was the same as the one on my pink. If I had realised how awesome this was going to look in the end, I would have filmed a video of the process. 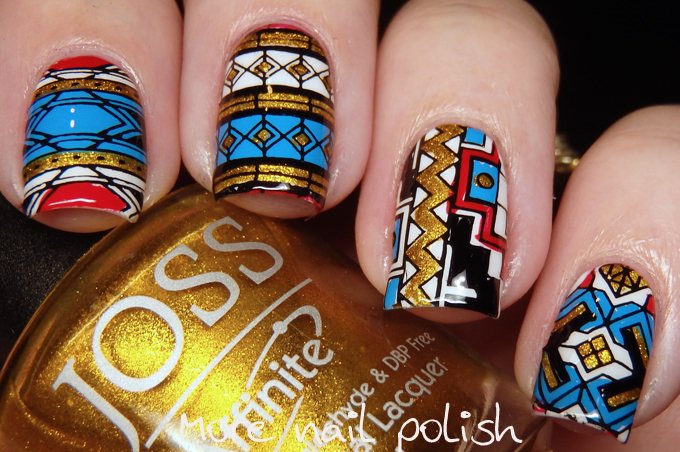 Polishes used are Pretty Serious Presence, OPI Big apple red, Dance Legend stamping polish in blue and JOSS More Nail Gold. 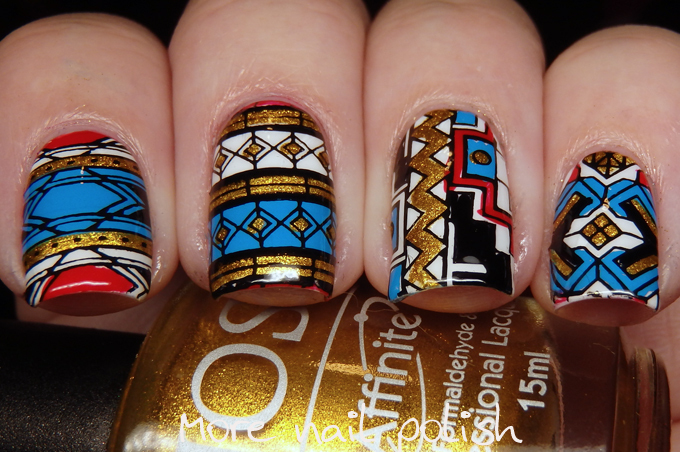 I pulled out that gold polish after seeing Cassis using it on one of her recent geometric manis. 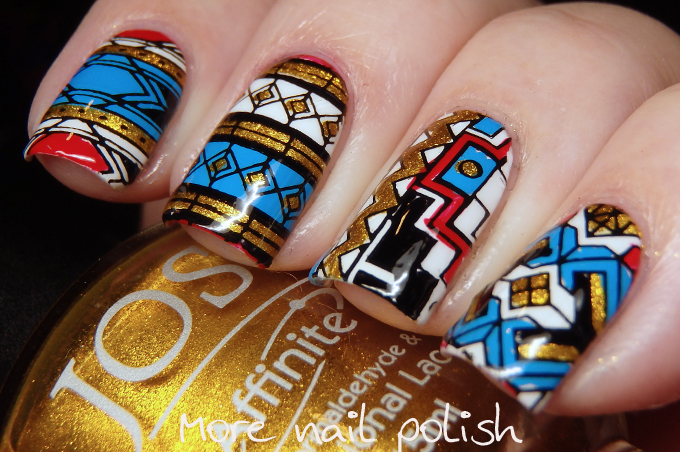 My geometric nails from 2013, 2014 and 2015! These are unreal! I could picture a Christmas colour version of this. Just beautiful! the colors you chose are awesome! These are striking!! Your color choices are perfect! LOVING IT!! This geometric design is so modern, I know that it is 2016 trend. How do youn think, would it be looking good on round nails ( like http://nailartstyle.com/top-35-round-acrylic-nails )? 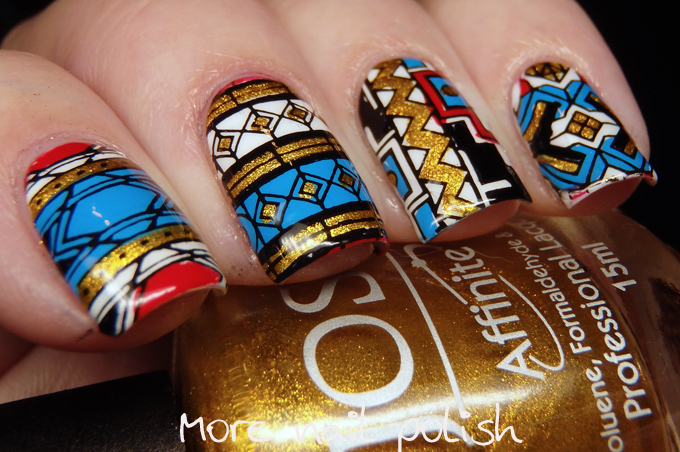 I want to do something like this with my geometric stamping. You did an amazing job with these decals!